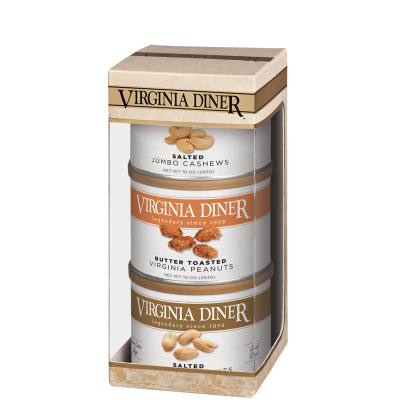 Here's a best-selling nut trio perfect for gift-giving any time of the year. Attractive tower gift box includes three 10 oz. 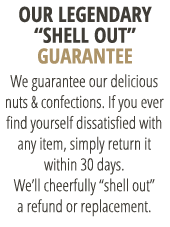 tins of our most popular nut selections. Salted Virginia Peanuts, Butter Toasted Peanuts, and Salted Jumbo Cashews. Excellent service,well packed, hopefully the people that receive them as gifts will enjoy them.